FAST™ engineers have developed the simplest plug-and-play, self tuning engine control system on the market for the LS series of engines. 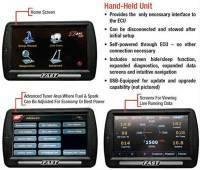 The FAST™ EZ-EFI 2.0® LS Self Tuning Engine Control Kit is the easiest way to get your LS transplant up and running without the complex PCM flashing and harness reworking required with the stock unit. This kit features all of the advantages of the award-winning EZ-EFI 2.0® ECU, plus it includes the EZ-LS™ Ignition Controller and uses stock or aftermarket LS injectors, sensors and coil packs. 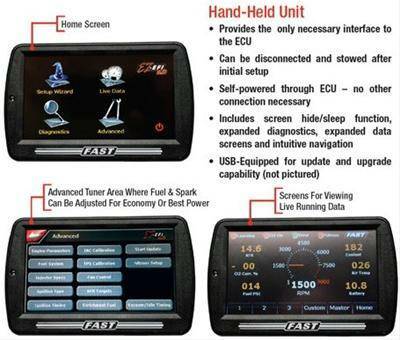 Each FAST™ EZ-EFI 2.0® system utilizes an easy-to-use interface through the included touch screen hand-held and doesn’t require a laptop or tuning experience. After initial setup, the hand-held can be used as a digital dash with the included suction cup window mount. The EZ-EFI 2.0® system actually tunes itself as the user drives, and because it keeps tuning, future engine upgrades are a breeze, meaning that expensive trips to the shop for simple tune changes are a thing of the past. A purpose-built, OEM-quality wiring harness is included in the kit as well. It features a clean, mesh wrapping that dramatically improves engine aesthetics over the factory harness. And with the included FAST™ EZ-LS™ Ignition Controller, the user can easily get running or has the option to adjust timing. 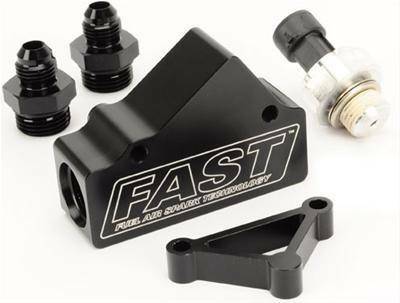 This multi-port installation kit is compatible will all LS-based car and truck engines and is designed and engineered by FAST™. 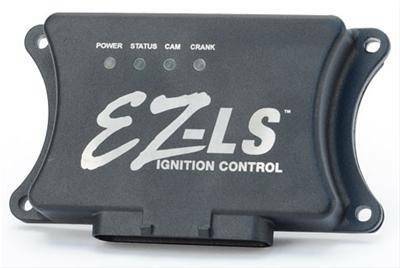 The EZ-EFI 2.0® LS Self Tuning Engine Control Kit is made in the USA, features a limited lifetime warranty and is backed by the industry’s most extensive technical support team. If converting from carburetor, requires fuel system to be purchased seperately.